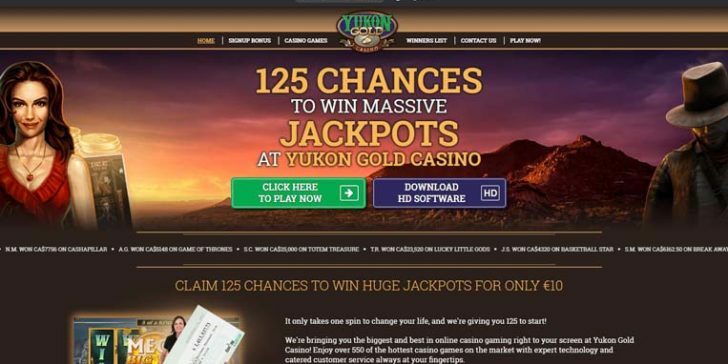 Yukon Gold Casino Welcome Bonus gives away 125 chances to become a jackpot winner for only a €10 first deposit. Once you decide to make your second deposit, your deposit will be matched 100% up to €150. Claim! Claim at Yukon Gold Casino!